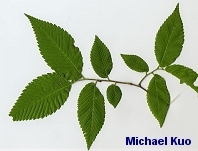 Eastern hardwood with a vase-shaped crown; leaves doubly saw-toothed, with uneven bases; bark gray, lightly furrowed in irregular criss-crosses. 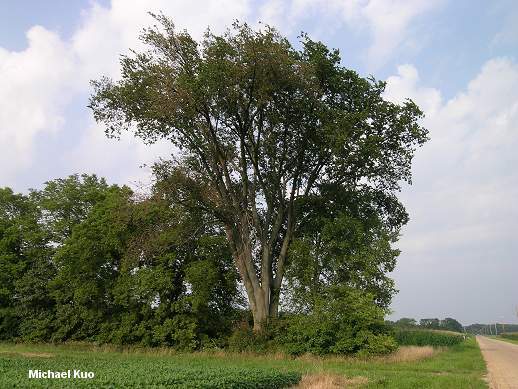 Habitat: Before the onset of Dutch elm disease this tree was widely distributed east of the Great Plains, growing in a wide variety of forests. Now, mature trees are most commonly found in urban areas, though young trees are more common in forests than is often supposed. Stature: 75-100 feet high; to 5 feet in diameter; with a distinctive, vase-shaped crown. 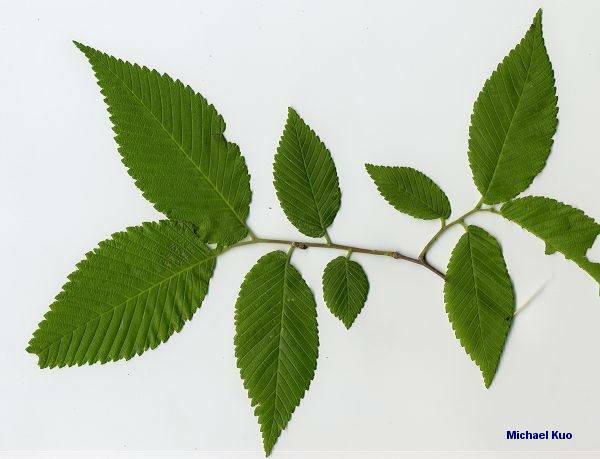 Leaves: 4-6 inches long; shaped like candle flames; coarsely, doubly saw-toothed (with two teeth for each vein); dark green; uneven at the bases. 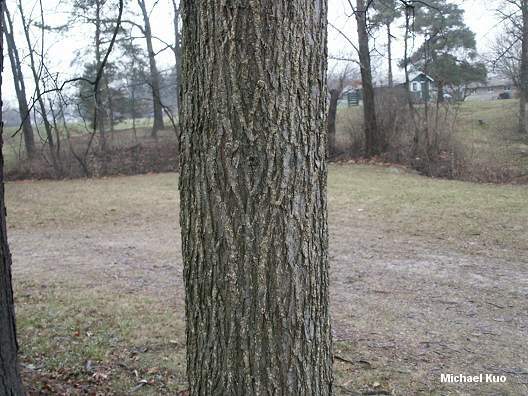 Bark: Thin; gray; furrowed with flattened ridges that criss-cross vaguely. Any experienced morel hunter east of the Rocky Mountains will tell you that dying and recently dead elms produce yellow morels, often in stunning numbers. One study of morels and morel hunting in Iowa (Tiffany et al., 1998) even attributes the rise in the popularity of Midwestern morel hunting to the prolific fruitings resulting from the effects of Dutch elm disease.